For those who order without registered option. It's at your own risk! We are not responsible for lost parcels by post services. Each model limited to 36 copies including Girlies! Fruit of the loom shirts. T-shirts: S, M, L & XL. We don't sign bands anymore we have enough projects for the moment! Luxuous 6 panel-Digisleeve MCD edition, limited & handnumbered to 499 copies! Logo TS and Girly also back in stock! We are particularly proud to support these real devotees for their commitment in the Lord, in a country where Black Metal is forbidden. 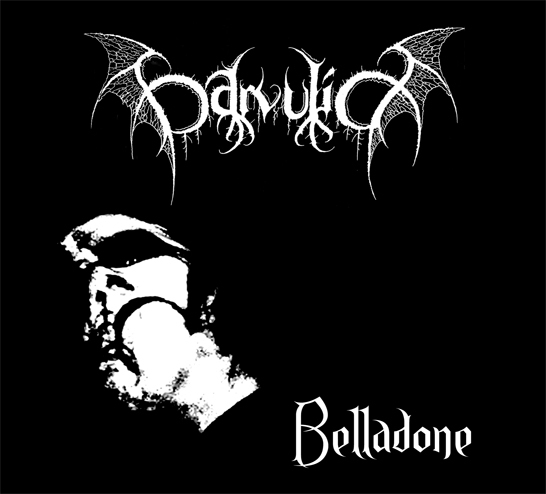 Raw and Evil Black Metal as it should be! strictly limited and handnumbered to 100 copies. now available in exclusive french distribution from the belarusian label "BeBlessedTheCursed"
About 45 minutes of Holy Ritual Doom. Total transcendence in the name of the Lord. Handumbered and limited to 99 copies. co-released with Le Crepuscule du Soir. où s’invitent brutalement des orgies industrielles qui oscillent entre lenteur maladive et fatras sonore. Listen and discover: "Abri d'Infortune (Trou Noir)"
Saison de Rouille is looking for gigs.